Notes: 1342 Lord of the manor and patron of the rectory of Denington in Sufflok. Notes: 1349 1355 Patron of the rectory of Denington, in Suffolk. Buried under a grave stone in the chancel, ornamented with his effigy in armour, the feet resting on a lion. Notes: Kntd. by Jun 1365. Commr. to conscript masons for the King's works, Essex Apr 1361; of inquiry, Suff. Jan 1371 (concealments), Norf., Suff. Apr 1381 (liberties of the borough of Gt. Yarmouth), Feb 1382 (wastes), Suff. Mar 1383 (assaults), Sep 1384 (revolt against royal officials at Lowestoft), Essex, Suff., Norf. Jan 1387 (theft of a ship's cargo), Essex, Herts., Suff. May 1392 (wastes on De Vere estates), Suff. Jul 1392 (export of gold), Aug 1395 (concealments), Oct 1395 (discovery of hidden bullion), May 1397 (disturbance at Eye); to collect the parochial subsidy Jun 1371; of array Aug 1372, Apr, Jul 1377, Feb 1379, Mar 1380, Apr 1385, Jun 1386, Mar 1392; oyer and terminer Mar 1375, Nov 1385, Norf. Dec 1386, Suff. Dec 1391; to hold special assizes Apr 1380, Jul 1382, Nov 1391; restore goods seized by insurgents, Norf. Jun 1381; put down rebellion, Suff. Dec 1381, Mar, Dec 1382; fortify Orwell Sep 1386; administer the oath in support of the Lords Appellant Mar. 1388; of arrest Nov. 1391; gaol delivery, Eye Aug 1394. Tax collector, Suff. Dec 1372; surveyor Aug 1379. J.p. Suff. 6 Jul 1378-89, 10 Nov 1389-Dec 1396. It is generally accepted that William was a first cousin of Sir John Wingfield (d. 1361) of Wingfield and of Sir John's brother, Thomas (d. 1378) of Letheringham. William's own entry into the Prince Edward's retinue was facilitated by his cousin John. He saw military action under the prince's banner at the siege of Calais in 1347, and in Jun 1355 he delivered 100 marks to Sir Baldwin Botetourt as a gift made by the prince at Sir John Wingfield's suggestion. William took part in the sea fight with the Spanish fleet off Winchelsea in 1356, so he cannot have been at Poitiers with the prince's army. He had served in Edward III's army in France in the winter of 1359-60. After the death of his cousin, William left Prince Edward's company to become a favoured retainer of Thomas De Vere, 8th Earl of Oxford. In Dec 1364 De Vere obtained a royal licence to grant to his esquire for life the manors of Langley and Bradley in Berkshire, and he subsequently also gave him and his first wife a joint life estate in the manors of Market Overton and Paston in Northamptonshire. It was while in Earl Thomas's service that Wingfield was made a knight, and he followed him across to France in the duke of Lancaster's army in 1369, there to take part in the engagement ‘a le Hille vers Harreflete’ (Harfleur). In Dec 1371, after Thomas De Vere's death, the widowed Countess Maud, feeling too weak to travel, named Sir William as one of her attorneys to sue in Chancery for her dower lands. Wingfield was returned to his first Parliament in 1376 in the company of Sir Richard Waldegrave. In this Parliament, known at the time as the Good Parliament, Sir William played a prominent part in the Commons’ attack on ministerial corruption, by providing evidence for the impeachment of John, Lord Neville of Raby. His sympathies may have been determined by his early connexion with the Black Prince, who seems to have supported the stand taken by the shire knights; certainly he had maintained a close association with some of the prince's retainers. But a more immediate influence on Wingfield's stance in the Parliament was that of Michael, Lord De la Pole, the husband of Catherine, daughter and heiress of his cousin, Sir John Wingfield. One of the charges brought against Neville was that he had purchased tallies at a discount from Reynold Love, a London merchant, and had then secured full allowance on them at the Exchequer. Love, on being examined in Parliament, said that he had given the tallies to Neville in part payment for wool and that their full nominal value had been deducted from his debts, at which point De la Pole and Wingfield came forward with the assertion that, only the day before, Love had admitted in their presence the truth of the Commons’ allegations. Their testimony forced the merchant to retract his earlier statement and so added to the weight of evidence against Neville. In 1381 Wingfield held Thrandeston of Edmund De Paston (Paston Letters). In Feb 1382, while attending the second session of the Parliament of 1381, he and John of Gaunt's retainer, Sir Henry Green, shared a grant from the duke of the farm of the manor of Willisham (Suffolk), rent-free for the duration of a minority. As there is no other evidence to connect Wingfield with Lancaster in a personal way, it may be the case that this favour marks an attempt by the duke to attach the shire knight to his interests of the moment, for he needed support in the Commons for his Castilian venture. Well-respected in the community of East Anglia, Wingfield was constantly in demand as a trustee of estates and an executor of wills. In the 1360s he had been a feoffee-to-uses of the important Bures estates inherited by Sir Richard Waldegrave's stepdaughter, Alice; the early 1370s saw him taking on the trusteeship of those of John, Lord Bourchier, as such exercising Bourchier's rights of presentation to the hospital of St. Giles at Little Maldon (Essex); and in 1375 he had served as executor of the will of the Norfolk landowner, Sir Ralph Shelton the elder. Along with Waldegrave, he became in 1377 a custodian of yearly rents amounting to £300 from manors in Nottinghamshire and Yorkshire, in this instance on behalf of Waldegrave's kinsman, Sir John Burgh. More significantly, he had attracted the attention of William Ufford, earl of Suffolk (d. 1382), who thought so highly of him as to leave him in his will, made in Jun 1381, an ‘enpension’ of £20 a year for life as well as a covered goblet to keep in his memory. In later years Wingfield served as a feoffee of the estates of the earl's kinsman, Sir Robert Ufford. Then, in 1384-5, he was involved in property transactions on behalf of John Bacon, the King's secretary, a connexion which had probably come about through the intervention of his kinsman by marriage, Michael, Lord De la Pole, who was then chancellor and shortly to be created earl of Suffolk. Wingfield's connexion with De la Pole was particularly close: Lord Michael had headed the list of his own feoffees as named in 1377. Among the rest were Sir Nicholas Gernoun, another of the earl of Oxford's retainers, who was later (in 1384) to bequeath to him a sparver and a gold ring, and his cousin, Thomas Wingfield of Letheringham, for whom he acted both as a trustee of estates and as an executor. Naturally, other of Sir William's kinsmen called on his services, too, including Thomas Wingfield's son and heir, Sir John, and his stepson, Sir Robert Carbonel. The fortunes of the De la Pole family had suffered a serious rebuff in 1388, and the earl of Suffolk had died in exile in the following year. But Wingfield continued to offer support to the earl's son, Sir Michael De la Pole, the new owner of the main Wingfield estates: he witnessed deeds on Sir Michael's behalf in 1392 and 1397; and in the meantime he became a feoffee of his lands and, in Oct 1396, stood as godfather at the baptism of his second son, William (who was eventually to be the 4th earl of Suffolk). Wingfield died on 25 May 1398 and was buried in the chancel of Dennington church, where traces of his monument yet survive. He was succeeded by his son, another William, for whom about two years earlier he had arranged an important marriage, to Catherine, the younger daughter and coheir of John Hadley, a prominent merchant and financier of London. In 1417 the younger William served in France at Agincourt under the earl of Suffolk (his father's godson). There, the Duc Charles D'Orleans was, Suffolk's old friend, was captured. When, in the following year, he died childless, his commander, as his nearest male kinsman, Suffolk inherited his estates. Notes: acquired, before the 38th Edward III, by his marriage with Margaret, heiress of Letheringham, dau. and heir of William Boville, and widow of William Carbonel, the lands of Letheringham, in Suffolk, in the church of which place, himself and several of his descendants lie interred. Sir Thomas made his will, 17 Jul 1378, wherein he directs, that he be buried in the choir of that priory, and that the sum of £46. 13s. 4d. be expended on his funeral. He devises to his, amongst other bequests, twelve silver spoons and six pieces of plate, inscribed with the coat armour of Brews, on condition that those articles should not be sold or alienated, but remain with his heirs for ever. Will: 17 Jul 1378. Notes: Member of Parliament for Suffolk, in the 7th Richard II, who received the honor of knighthood, and presented to the Free Chapel of Stradbroke, in 1389. Notes: Member of Parliament for Suffolk, in the 6th Henry VI, from which monarch he had received two years before, the honor of knighthood, at Hereford, 19 May 1426. 1463 Accompanied John De Mowbray, Duke of Norfolk, on his embassy to France. 1443 Steward to Duke of Norfolk. 1427-1436 Knight of the Shire for Suffolk. 1449 Knight of the Shire for Hertfordshire. 28 Nov 1436 Appointed steward of the honor of Richmond in Norfolk. 1447-1448 Imprisoned in Marchalsea for riot; pardoned. 1450 Denounced in Parliament as one of the Kings evil advisros. 1451 On a royal Commission. Notes: 1450 Member of Parliment for Herts. Comptroller of King Edward IV's household. The king rewarded him by granting him the right to hold a weekly market every Tuesday in East Harling, as well as two fairs lasting three days each year. Notes: Knighted at the battle of Tewksbury in 1471. Notes: this connection has always been doubtful. Probably he, and not his son, was BA 1571-2 at Christ's College, Cambridge. Notes: this may be the Ralph Wingfield of Edelstone, Ashover, Derbyshire, whose dau. Jane Married James (William) Rollestone of Watnall. ¿7. William WINGFIELD (alias Fisher)? Notes: this may be a Yeoman, who died 1625; or Richard Wingfield of Wirksworth, who marries Mary Lacy, dau. of John Lacy and Lettice Lucy; or Richard Wingfield of Ashley Hey, will probed 19 Jan 1648, Lichfield, leaves lands to his brothers Anthony and William (alias Fisher), his dau. Dorothy, his sister Anne (¿Margaret? ), wife of William Shipley, and his mother in law Jennet Caryer. Notes: Bridgemaster and draper of Loughborough, Leics, 1612 and 1613. 1640 Mayor of Shrewsbury. 1642 Charles I Visited Shrewsbury. Thomas noted as "a person disaffected to H.M's Person and Govt. and shall be sequestered until they have cleared themselves". He Did not clear himself and was replaced as Burgess. Monument on left of main door of St Chad's,Shrewsbury. He In his will dated 1st Oct 1642 he left £40 to the poor. Notes: 1508 Ambassador at Court of Archduchess Margaret of Austria, dau. of Emperor Maximilian. 1513 Captain. Will 17 May 1526, or 1530. Attended the signing of the Cambria peace treaty. Notes: marble gravestone in Lambeth Church describes her as "one of the heirs of Roger Wingfield". Notes: Sheriff of Norfolk and Suffolk 1483. Fought at Bosworth against Richard III 22 Aug 1485. Henry VII restored him in 1485, and he again served as sheriff BET 1492 - 1493 and 1497. Notes: granted custody of Park at Letheringham. Notes: her husband, Francis Sone (Soone), of Wantisden, was born by 1523, first son of John Sone of Wantisden. Educ. G. Inn, adm. 1537. Married first Alice, dau. of Sir John Spelman of Narborough, Norf. ; by whom he had two sons and three daughters. Suc. family 1552. In May 1544 Francis Sone and his father acquired the manor, rectory and advowson of Wantisden. On his father's death he inherited considerable property in Suffolk, including the manors of Boville and Peche in Alderton and of Campsea and Chillesford, some of which he sold in Feb 1553 to Robert Vesey. In the autumn of that year he levied a fine against Francis Harman for houses and pasture in east Suffolk, and three years later he acquired lands in Sudbury from Roger Warren, perhaps the brother-in-law mentioned in his will. Sone's return for Orford on three occasions may have reflected the influence of the Willoughbys or Wingfields, but as a landowner in the neighbourhood with some legal training he could well have been the town's own choice. He was brother-in-law to George Jerningham, Member for Orford and Dunwich under Mary. The Protestant leanings expressed in his will may explain his absence from most of the Marian Parliaments and his belated appointment to the Suffolk bench. Notes: will dated 12 Mar 1564, probed 15 Jun 1573. 1546 in will of his cousin, John Wingfield of Tattershall Castle. Described as "earnest in religion". Notes: [FITCH 2263] and of Carlton and Darsham, Suffolk. Member of Parliament for Staffordshire? Partisan of Earl of Essex, Parliamentary General in the English Civil War. Essex left him £10 in his will. Notes: Usher to Queen Elizabeth. Employed with Sir William Wadd in collecting evidence against Phillip Howard, Earl of Arundel. His second wife, Elizabeth, was the half sister of Bess of Hardwick and was living with her in London in 1558, before her first marriage. In 1598-1600, and possibly earlier, a Mistress Wingfield was mother of maids at the court of Queen Elizabeth. It is possible, though not confirmed, that this was Elizabeth Leeche. “Mrs. Wingfield, wife of Pollard” was buried 6 Jan 1601 in St. James, Clerkenwell (London). Notes: held estates in Worcester. 1552 inherited Brooks Hall, Ipswich, from his grandfather, Sir Anthony Wingfield, K.G. Had large sheep farm in area of Orford / Chiselford (Chillesford). 16 Aug 1562 owned Stanford Manor, Norwich. 22 Sep 1563 presented to All Saint's Church Stanford, Norfolk, as patron. Notes: Member of Parliament for Suffolk. Notes: Member of Parliament. Inherited Letheringham, but died without issue. Notes: Inherited Letheringham at the decease of his brother. Servant of the Earl of Leicester. In 1586 he was wardor with Sir Amyas Paulet of Mary, Queen of Scots, who was prisioner in Fotheringay Castle. Knighted in 1606 at Greenwich Palace. Notes: his sons Thomas, Godfrey and Sir Robert were mentined as executors of his will, dated 1525. Notes: 1537 sent to Cambrai by Henry VIII assassinate Cardinal Reginald Pole. Sent a present of a whole deer to Calis, by Queen Jane Seymour (Lisle Letters). Apr - May 1537 with the Emperor's troops, with his cousin Francis Hall (Lisle Letters IV, 302). 1538 left house by grandson, Sir Robert Wingfield. Notes: In 1538 - Mugged in London by Mr Thomas Martell and servants. King Henry VIII's council took up his case. Notes: Thomas Worlich first emerges clearly in the 1540s. In Nov 1541 he was granted a 21-year lease of Alconbury rectory and it was as of Alconbury that in 1546 he was assessed for subsidy at 26s.8d. on goods valued at £20. His origin and early life are matter for speculation. It is reasonable to assume that he belonged to the family of which one branch was settled at Everton and Potton, near Sandy in Bedfordshire, and another at Wickhambrook, Suffolk. If, as one visitation has it, his daughter Honor married Charles Worlich of the Suffolk line he may be thought to have sprung from the other, yet it could have been at Wickhambrook that he first met Stephen Gardiner, who came from nearby Bury St. Edmunds and whose protégé George Eden was to become a land-holder at Wickhambrook. Worlich's other principal connexion, with the Wingfields of Kimbolton, may have been of independent origin. The marriage which sealed it could well have coincided with his settlement at Alconbury, for Jane Wingfield was probably born about the time her father died in 1525 and may have given birth to her first son about 1544. Of the education which qualified Worlich to be the recipient of Gardiner's library no trace has been found; he appears to have sent four sons to Cambridge but not to have gone to either university himself, and his name does not occur at an inn of court, although his son Francis probably entered the Inner Temple. 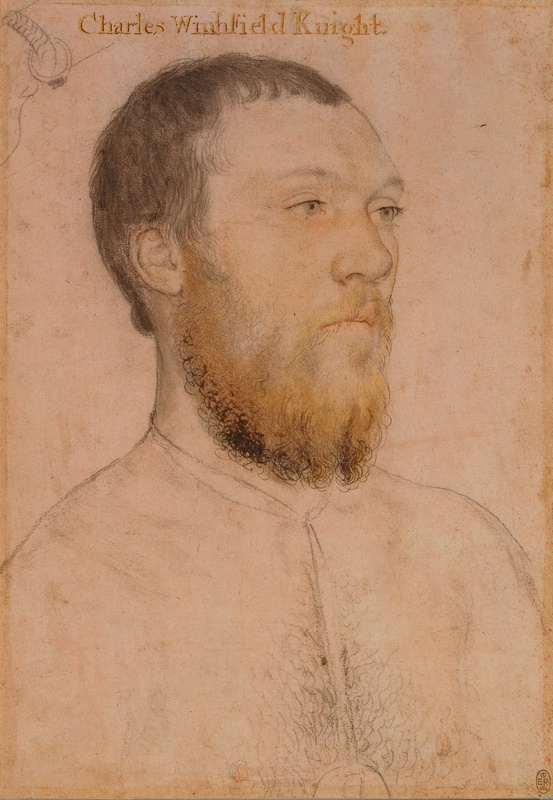 Early dependence upon the Wingfields might have taken him to Calais, and there is a remote chance that he was the Thomas Warley who served Viscount Lisle, the deputy, for a number of years before being discharged, with a reward of 13s.4d., when Lisle's household was dissolved in 1540. Alternatively, he could have joined his future brother-in-law James Wingfield in service with Gardiner and perhaps have accompanied the Bishop on his missions abroad. Worlich was not among Gardiner's dependants who testified at the trial in 1551 nor does his name occur in the evidence then given. If Gardiner, by then a dying man, had a hand in Worlich's election in 1555, it was presumably the Wingfields who procured him the seat for Huntingdon; Thomas Maria Wingfield had recently sat three times for the borough and it may have been Wingfield's promotion to the knighthood of the shire which gave Worlich his chance there. Unlike his brother-in-law Worlich is not listed among the Members who voted against one of the government's bills; the division concerned took place within a month of Gardiner's death and Worlich may either have acted out of respect for the chancellor's memory orperhaps have been engaged in collecting his legacy of all Gardiner's ‘humanity and law books’. It is unlikely that he shared Gardiner's beliefs, for in 1564 his Bishop was to commend him to the Privy Council as ‘earnest in religion and fit tobe trusted’, and in 1571 and 1575 he was to be named to the commission for enforcing the Acts of Supremacy and Uniformity in the dioceses of Lincoln and Peterborough. In 1558 he and seven others had been commissioned to investigate breaches of Acts governing the making of cloth and leather. Worlich is not known to have made a will and his date of death has not been discovered. Notes: Slain at Battle. He or his brother Charles went to Eton. 1602 Sidney College Cambridge. Notes: slain in a duel by Francis Ayliff of Wiltshire. Notes: Knighted 20 Aug 1604. He sold Kimbolton to Sir Henry Munjays. 1618 he purchased Keyston Nearby. House in Chelses. 1599 admitted to Sidney College, Cambridge. 1620 Proposed to enclose 1799 acres at Keyston [VCH HUNTS 11,85]. Royalist in Civil War. Notes: Godson of Cardinal Reginald Pole and Queen Mary. Servant of Robert Dudley, Earl of Leicester. Volunteer in the Low Countries in 1579. At Battle of Zutphen 1586. In 1588 was deprived of his company by Lord Willoughby in Row over his capture of Mendoza, a Spanish Grandee. Garrison Commander and Colonel in Ireland in 1597, Knighted by Robert Devereaux, Earl of Essex. In 1598 he assumed the command at the Battle of Yellow Ford. "Trailed a pike" under Essex in 1599. In 1600 was clerk of the cheque in Dublin. Notes: 1601 in debt to cousin Richard Wingfield. Debts paid off by his brother, Sir Thomas Wingfield. Notes: Either he or his brother Gamaliel was living in Nov 1600. [Csp (Irl) 1600-01 S.47 Letter to Robert Cecil]. Notes: Colonist, Edward served in Ireland and in the Low Countries, and was one of those to whom the original Patent of Virginia was granted on 10 Apr 1606. He alone among those patentees whose names are mentioned in the instrument sailed with the first party of Colonists on New Year's Day 1607. The list of the Council was sealed up, to be opened after landing. Wingfield was amoung its members, and on 13 May was elected President. On 27 May, while leading an exploring party, Wingfield was "shot clean through his beard" by an indian, but escaped unhurt. He soon fell out with his colleagues, and on 10 Sep 1607 was deposed. Soon AFT this he was sued by John Smith and another of the party for slander, The case was tried by the Council and Wingfield was cast in heavy damages. Although a good soldier and an honourable man, Wingfield seems to have been wholly unfitted for his post. He evidently self-confident, pompous and puffed up by a sense of his own superior birth and position, unable to co-operate with common men and unfit to rule them. Moreover, as the Spanish Government was known to be bitterly hostile to the Colony and to be plotting against it, those interested in the undertaking were naturally distrustful of a Roman Catholic. In Apr 1608 Wingfield return to England. He appears to have been living, unmarried, at Stoneley, in Huntingdonshire, in 1613. Notes: Knighted at the Battle of Tewksbury in 1471; for many years the Governor of Orford Castle, Suffolk. He Will dated 21 Feb 1483. Notes: Captain of Deal Castle. Member of Parliament for Sandwich in the 25th and 28th of King Henry VIII. Notes: Member of Parliament for Peterborough. Notes: Barrister-at-Law. Officer of the Exchequer. Member of Parliament for Grantham. Notes: High Sheriff of Rutland.